Barbara A. Leonard, 72, of Fremont, OH passed away Saturday, July 29, 2017 at her home surrounded by her family. She was born on April 13, 1945 in South Carolina to John and Anna Marie (Metz) Keck. Barbara married Lavern F. Leonard on September 30, 1967 and he preceded her in death on November 16, 2009. She was a homemaker but previously worked for several nursing homes as a nurse’s aide. She was a member of Fremont Baptist Church. Barbara enjoyed cooking, playing games on her electronic devices, nursing her many house plants and caring for her puppies, Prince and Rabbit. 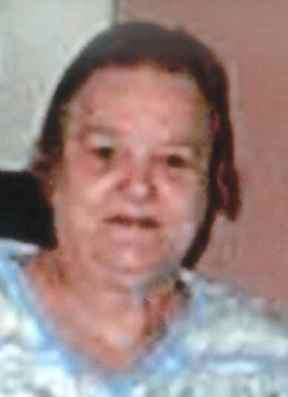 Barbara is survived by her children, Donald Lavern Leonard, Anna Seaman, Crystal Cook, Debbie Dunfee, all of Fremont, OH, John Leonard, Green Springs, OH, Lisa Goosetree, Sandusky, OH; siblings, John Keck and Diana Correthers, both of Fremont, OH; eleven grandchildren and several great grandchildren. She was preceded in death by parents, husband, Lavern F. Leonard; siblings, Phyllis Twist and Stephen Keck. A graveside service will take place Monday, August 7, 2017, 10:00 a.m. at Lindsey Cemetery, Lindsey, OH with Pastor Dan Vickey officiating. Memorials can be made to the American Cancer Society.